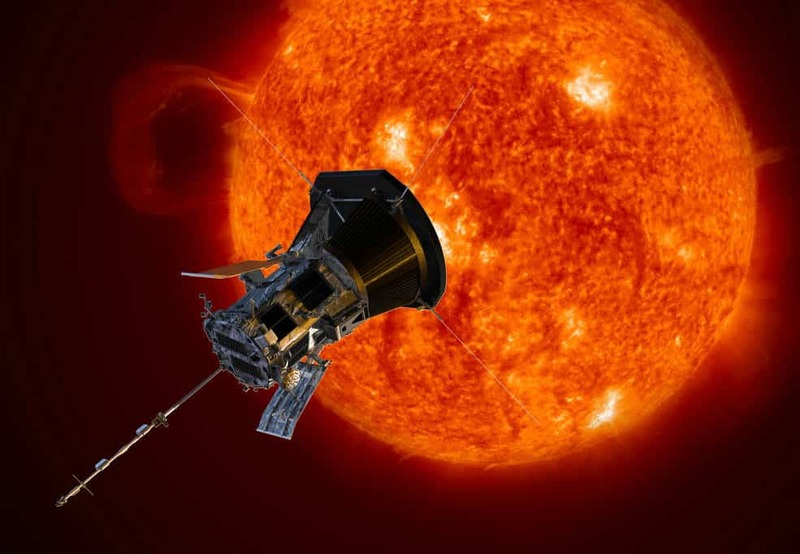 The Parker Solar Probe spacecraft will be launched a one-way roundabout mission to the Sun. With a launch window of July 31 – August 19, 2018, the robotic spacecraft will travel towards the Sun in order to collect data on solar activity that will be used to forecast major space-weather events affecting Earth. The spacecraft will travel into the sun’s atmosphere about 4 million miles from the Sun’s surface. The Parker Solar Probe will enter the outermost part of the sun’s atmosphere, known as the corona, on a mission that involves seven flybys over seven years as its orbit gradually nears the sun’s surface. This illustration of NASA’s Parker Solar Probe depicts the spacecraft traveling through the Sun’s outer atmosphere. Humanity’s first mission to a star, Parker Solar Probe is scheduled to launch July 31, 2018. Credits: JHU APL. This mission marks the closest attempt to send a spacecraft towards the sun. While the surface of the Sun is extremely hot (around 6,000 degrees Celsius), the corona can be up to 300 times hotter. The Parker Solar Probe contains a 4.5-inch-thick carbon-composite shield to buffer it against the brutal conditions of the Sun’s atmosphere as it reaches record breaking speeds of 430,000 mph (690,000 km/h).